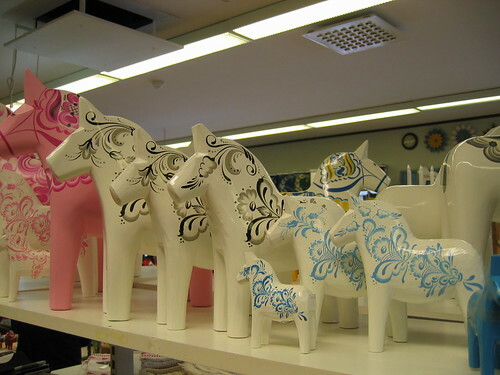 Classy white Dala Horses with blue or gray decorations. Freshly made but with a vintage look. I love the big blue one so much – but it’s expensive at 536 USD! Yes, row after row with horses. 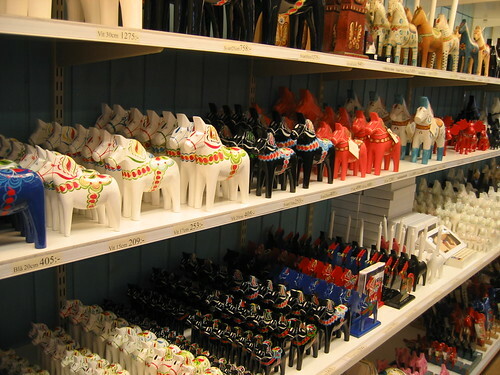 There are even modern black horses on the shelf. 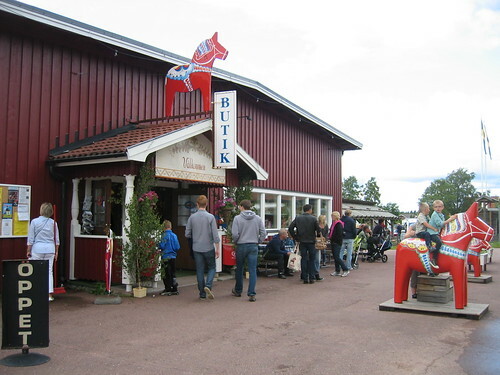 Lots of opportunity to shop souvenirs in Nusnäs, Dalarna, Sweden! Kurbits clogs, very Swedish indeed. Black rooster. There were a few statues outside the factory in Nusnäs, for kids (and grownups) to pose by and/or ride on! So lots to enjoy and look at. What is your favorite horse-colour? Or would you prefer a…? Dala rooser? Dala pig? 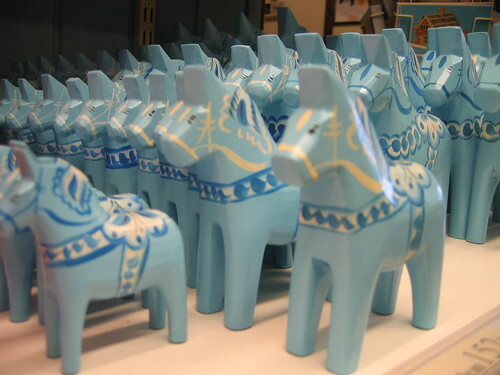 Oh, Maybe a Dala moose? * Knit yourself a pair of Dala Horse Mittens! * Print a colouring page for you (and your kids) to fill in! * Free embroidery pattern – print from flickr and start sewing! 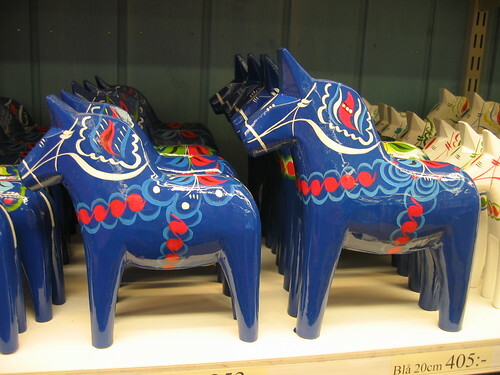 * Or repaint your furniture a bit more Dala Horse like? So cute! 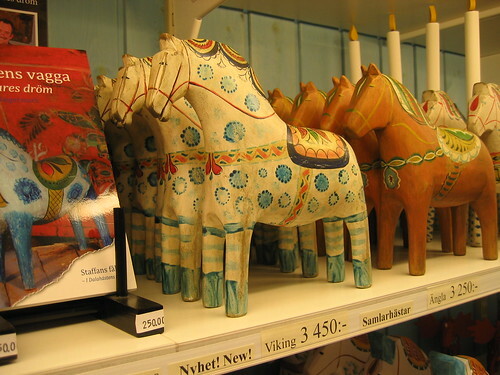 This entry was posted in Photography and tagged dala horse, shopping, souvenir, sweden. Bookmark the permalink. Hanna, I actually own that dark blue one!! I cannot believe the price you typed. I got mine at a German flea market and I think I paid 10 euros for it…!! It’s so heavy I was always worried it would fall over on my toddler and break his toes. But it is a beloved decoration in our home, and now I’ll always think of you when I look at it!! 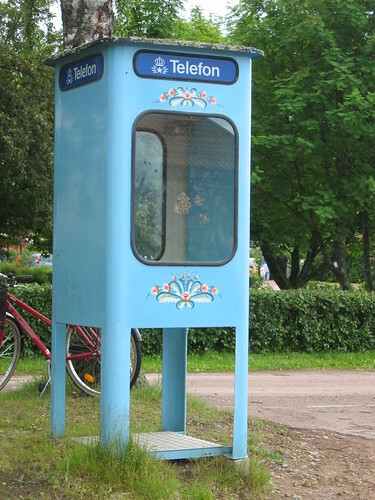 PS – that phone booth is CRAZY amazing! Once again! From the bottom of my heart! Thank you! All this Dala gorgeousness! My eyes are happy! I want to sit on one of the Dala statues! OMG – how cool is that? Oh to be a kid again. In Sweden. Living next to a Dala factory! Love, love, love the vintage replicas – the white especially. I bet it was hard leaving that one behind. 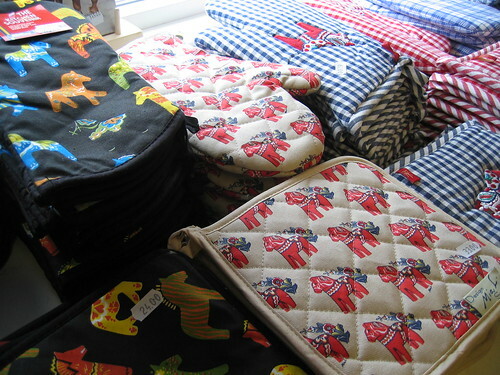 Pot holders! 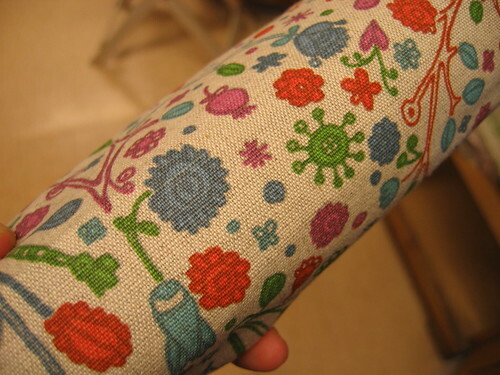 Perfect for using Carina’s Dala fabric. If I have any leftovers from the apron, I am definitely making matching pot holders! Beautiful post Hanna. I appreciate every single minute you invested in making it. The $536 horse..of course. Those are magnificent! 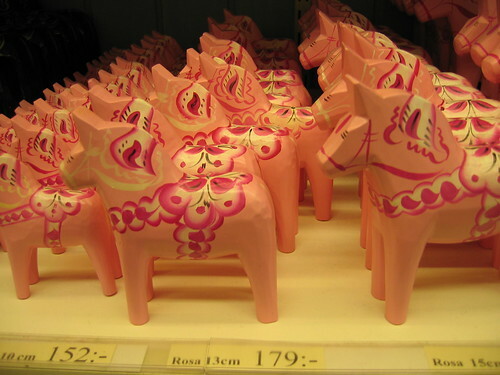 I really like the pink dala horse. I love the horses and still can’t decide which one I would want. They are all so wonderful! I just about fell off of my chair when I saw that huge rooster outside though! Wow! That thing is amazing. I love it. Thank you so much for taking the time to show us so much loveliness! 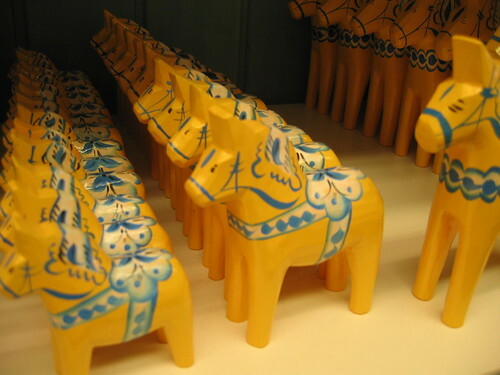 Thanks for posting about the Dala horses. The wood craft are magnificent. 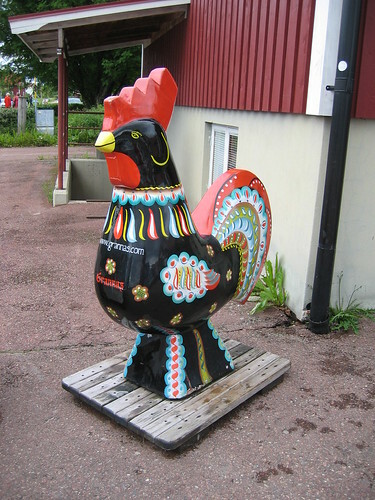 I like the big rooster, reminded me about the Portugal rooster. 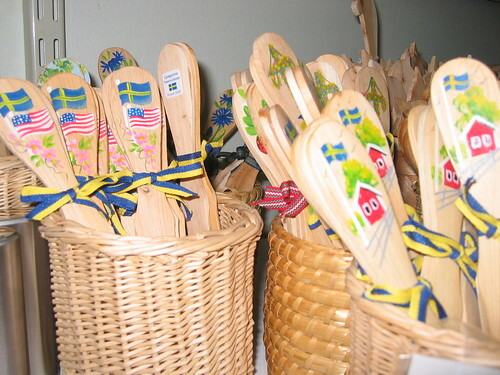 We bought one when we visited the Mora area a few years ago. My horse is red and it comes out of the boxes every Christmas. Lots of cool index cards on your blog lately, by the way. I have not done any paper creativity play for a long time… I am the kind of person who’ll have periods of the one kind of play and then I’ll switch to another and then come back to the first again.. The vintage one with the blue… OH WOW!!! And I remember the time (in the seventies!) 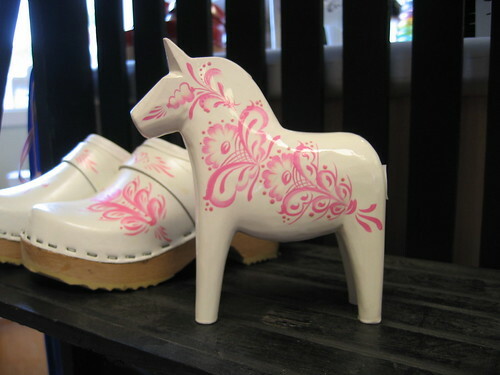 when ‘Kurbits clogs’ (we called it ‘swedish clogs’) were very fashionable in the Netherlands! 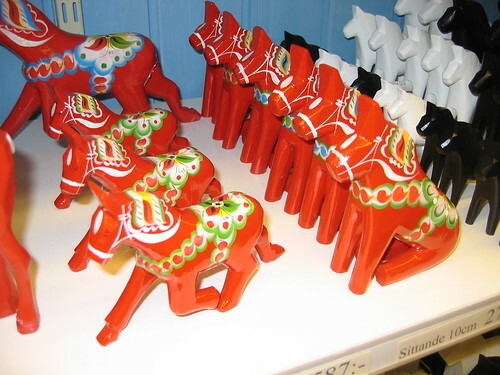 Oh, I love dalahästen, they are so incredibly simple yet truly beautiful! (I have always wondered why so expensive too :( ). I need to have one, it’s pretty much like having a matrioshka!